Share the gift of life! 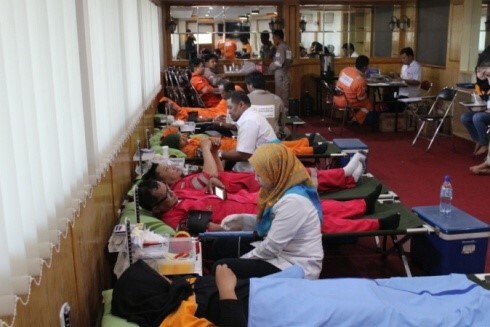 Our quarterly blood donation drive, encourages as many people as possible to contribute to the Red Crosses Blood bank. We encourage blood donation as it has many health benefits, some of which include, anti-cancer benefits, help maintain a healthy liver and heart, encourages weight loss and stimulates more healthy red-blood cell production. In the year 2017 alone, we have had 420 of our own staff donating their blood. Excuses never save lives, blood donation does. When are you going to start saving lives?